After a severe rain, hail, or snowstorm, the normal impulse of any homeowner is to climb up a ladder and check whether their roof sustained severe damage in the process. You may likely see bruised areas of shingles, dislodged material seeping into your gutters, and sometimes shingles missing from their respective positions. However, you won’t need to do this if you knew Allen roof inspection experts were providing it free of charge. StormPros is all about value-adding service. We have the experience, equipment, and knowledge to give you a detailed and accurate report on the condition of your roof at any time. Homeowners will see discoloration, missing shingles, and dents quickly. However, these are just surface damages. Internal damages include bruised or penetrated roofing underlayments, angled downspouts, loosening gutter systems, and more. 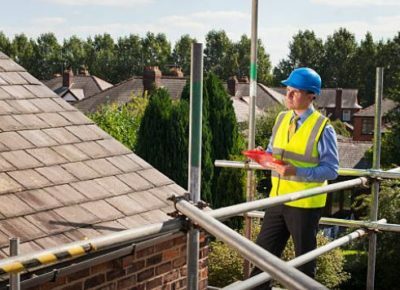 Within 30 minutes to a few hours after your consultation inquiry, we will deploy an experienced team to inspect the entirety of your property. They will survey the roof, sidings, gutters, windows, and other areas possibly damaged during the storm. The team will conduct a variety of tests to find hidden damages capable of making existing damages more severe in the future. Why Trust StormPros With All Your Roofing and Home Construction Needs? Our company has been around for decades servicing properties in Frisco, McKinney, and surrounding areas across Texas for all their Allen roofing and home repair, replacement, or installation needs. We are confident our top-notch, seasoned teams will handle any job with the quality you deserve. StormPros’ teams talks to the client and explains the repair, replacement, or installation process. 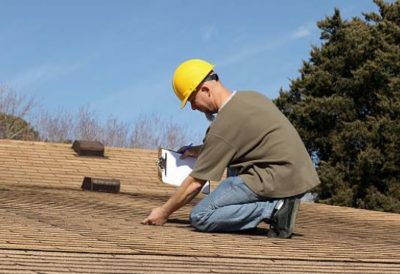 After they give you the Allen roof inspection results, they found their recommendations on improving the lifespan and durability of your home. Our teams have continuous education with top-of-the-line equipment, roofing materials, and servicing methods. However, their school is your home. Their experience allows them to adapt to any situation by solving all the problems that pop out in every project effectively.